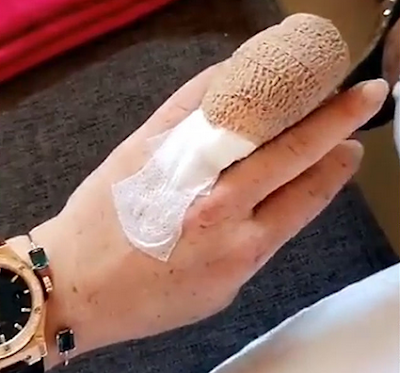 According to a report by TMZ, Lindsay Lohan lost a portion of her ring finger in a boating accident. Lindsay was enjoying Sunday in the ocean off Turkey when she tried pulling up the boat anchor and became entangled in it. The anchor pulled her down into the water and she struggled to get back in the boat as she tried untangling herself.